Complementing my daily blog interviews, today’s Author Spotlight, the one hundred and thirteenth, is of Eleanor Sullivan. 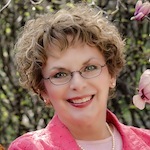 Eleanor Sullivan is an award-winning author of books for nurses as well as the Monika Everhardt medical mysteries. Mining her family history, she’s created a series of historical mysteries set in the 1830s Northern Ohio village of Zoar, the religious settlement of her ancestors. 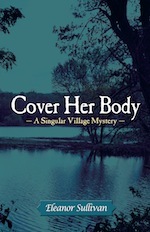 Cover Her Body, A Singular Village Mystery, is the first book in the series that feature a midwife, her cabinet-maker husband, and her real-life distant grandfather. Sullivan is a former member of the national board of Sisters in Crime, a frequent panel moderator at mystery conventions, and an active member of Mystery Writers of America. In her former life, Eleanor was dean of a university school of nursing, past president of the world’s largest nursing organization, editor of a prestigious professional journal, and author of more than a dozen books in nursing. She has testified before the U.S. Senate, served on a National Institutes of Health council, presented papers to international audiences, been quoted in Chicago Tribune, St. Louis Post-Dispatch, and Rolling Stone Magazine, and named to “Who’s Who in Health Care” by Kansas City Business Journal. She earned nursing degrees from St. Louis Community College, St. Louis University, and Southern Illinois University and holds a PhD from St. Louis University. My earliest experiences in writing were in graduate school and later as a professor, writing more than a dozen books for nurses, numerous articles in health care, and editing a professional journal. And I’m still writing books for nurses. Two books, Becoming Influential: A Guide for Nurses (2013) and Effective Leadership and Management in Nursing (2013) are soon to be released in new editions. Having read mysteries all my life, I decided to turn my attention to writing mysteries. I thought, “How hard could it be?” I found out. Very difficult! Malcolm Gladwell says that it takes 10,000 hours of practice to become a master of anything. Now, 10 years later, I believe him! Heeding other writers’ advice to write what you know, I used my nursing background in my first three mysteries. This contemporary series (Twice Dead, Deadly Diversion, Assumed Dead) features nurse sleuth, Monika Everhardt, who solves murders while managing a staff of intensive care nurses. Then, looking for a new challenge, I turned to my family heritage. Years of hearing family stories about my brave ancestors who escaped religious persecution in their native Germany to find their way to America and carve a village out of the northern Ohio wilderness intrigued me. So I began a series of fact-based mysteries set Zoar, Ohio, the town named for the place where Lot found sanctuary just as these settlers—they called themselves the Society of Separatists—did in America. The stories feature a midwife, her cabinet-maker husband, and my real-life distant grandfather, who ruled the villagers with an iron hand, apparently. Life meets fiction when he becomes a realistic adversary for my midwife protagonist. In the first book, Cover Her Body, A Singular Village Mystery, a dairy maid is found in the river, but the only person who suspects it wasn’t an accident is Adelaide, a young midwife, who disregards danger to her own life to catch the killer. The second book in the series, Graven Images, will be released in early 2013. One more detail about the Separatists’ society: These industrious people carved a village out of the wilderness, cleared the land, planted fields and, in one very fortuitous stroke of luck, built the Ohio Canal through their land. How lucky? Prior to building the canal, the inhabitants adopted celibacy to keep the women free of childbearing. After money from the canal paid their mortgage, the villagers again allowed marriage. Without that provision, no Eleanor, no stories! And how grateful are we. Wow. I went to a crime writers’ conference and met a couple of the Sisters in Crime members… joining is on my jobs / wish list. 🙂 Thank you, Eleanor. The blog interviews will return as normal tomorrow with poet, prose and article writer Kimberly Gray – the four hundred and seventieth of my blog interviews with novelists, poets, short story authors, biographers, agents, publishers and more. A list of interviewees (blogged and scheduled) can be found here. If you like what you read, please do go and investigate further. And I enjoy hearing from readers of my blog; do either leave a comment on the relevant interview (the interviewees love to hear from you too!) and / or email me.